The reason most people dread skin tags is the tricky locations on the body these growths are likely to appear. Skin tags or acrochordons are tubular growths of skin tissue that occur in places where skin comes in contact with the skin such as on the neck, near eyelids, under armpits, groin or under the breast. Women have to face a lot of trouble if these fleshy growths appear under the breast. Since women wear special inner clothing, having skin tags under the breasts are likely to be injured or twisted if they get caught up in clothes. Being a highly sensitive region, skin tags under the breasts need to be dealt with utmost care. It is generally preferred to get skin tags under the breasts removed because of the inconvenience they cause to women. Seeking the help of natural and minimally invasive skin tag removal methods is considered safe by most people. These methods save them from the pain and bleeding that accompanies if skin tags are removed surgically. While trying any natural methods for removing skin tags under the breast one must keep track of the status of the treated skin tag so measures can be taken time, in case the tag becomes irritated or inflamed. It is also suggested to get the tag examined by a doctor to be sure that the growth is a skin tag before trying any home treatment options. Here are some ways to remove skin tags under the breasts at home. 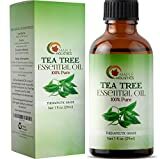 Australian tea tree oil is loaded with anti-viral, anti-fungal and antiseptic properties which make it an excellent option to remove skin tags. 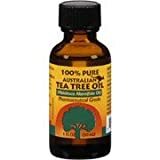 Dabbing this oil on the skin tag under the breasts can help it shrink and dry out in some days. 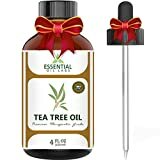 What makes this remedy good for under the breast tags is that tea tree oil can be used safely on the skin and even if it comes in contact with the surrounding skin, it doesn’t irritate the skin. 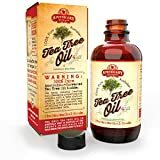 This is another natural cure for skin tags which you can use safely under the breasts without having to worry about any adverse reactions in case the vinegar comes in contact with the skin around the tag. Dab apple cider vinegar over the skin tag twice a day to shrink it. Continue applying the vinegar on the tag to dry it completely after which it will fall. Pineapple juice has certain qualities that make it an effective remedy for removing skin tags. Dabbing freshly extracted pineapple juice twice a day every day can get rid of the tags in as little as a week. This juice is beneficial in removing skin tags around the tender skin under the breasts. You can safely use hydrogen peroxide to remove skin tags under the breast. It is recommended to employ food grade hydrogen peroxide of 35% strength for removing skin tags. Dab the targeted skin tag four to five times a day with a cotton pad soaked in hydrogen peroxide. The tag will start to shrink within a few days of regular application of hydrogen peroxide and will fall in one or two weeks of the treatment. Oregano oil contains profound anti-septic qualities and is an ancient remedy to remove skin tags. This oil has heating qualities and using it neat on the skin can burn the skin. Whenever you use oregano oil for removing skin tags, dilute it with coconut oil or any other carrier oil. This oil has an anti-spasmodic effect which helps in numbing the tissues in skin tag. Dab diluted oregano oil directly to the skin tag twice or thrice a day for ten days first. Then wait for ten days before reapplying the oil and repeat the procedure for ten more days if the tag is still not dried completely until it dies and falls. Onion juice has high amounts of sulfur which make it beneficial for skin tag removal. Grate one onion and mix it with a tablespoon of salt. Let the mixture stay for a couple of hours and strain it. Apply the juice straight to the tag at night time. Do this procedure for ten to fifteen days to see it shrink and die.